Luteolin is a natural flavonoids, found in many plants. With various pharmacological activities, such as anti-inflammatory, anti-allergic, anti-tumor, anti-bacterial, anti-virus and etc. 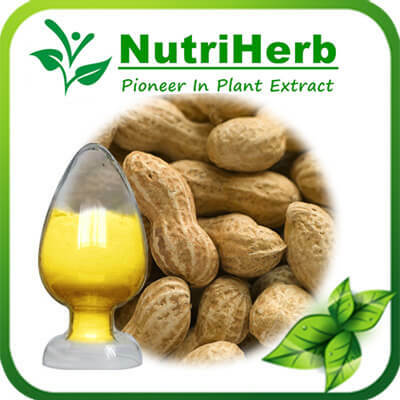 Latin Name: Arachis hypogaea L.
Luteolin may help promote healthy blood glucose levels and help in weight management for Syndrome X.
Externally luteolin can be used for skin allergic/inflammatory disorders and for skin cancer prevention. Luteolin is a potent hypoglycemic agent and improves insulin sensitivity. Luteolin 98% Applied in health product field, peanut shell extract is made into capsules with the function of vasodilatation.